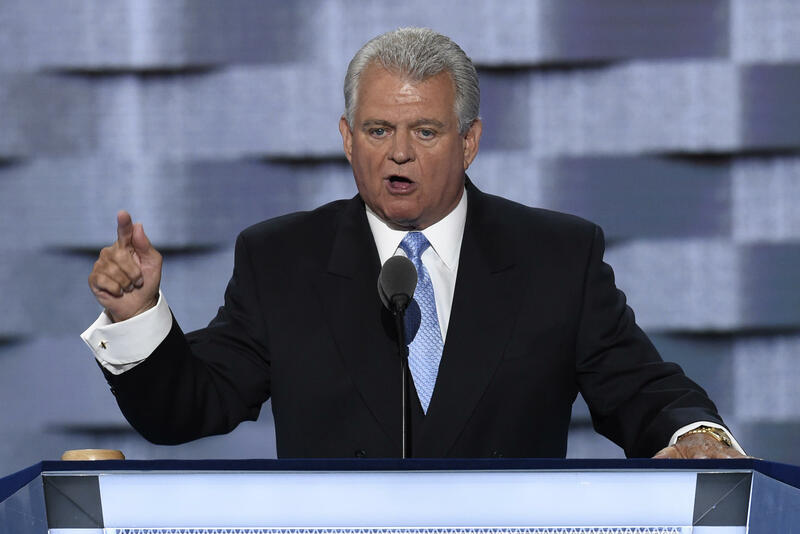 Rep. Robert Brady, D-Pennsylvania, is suspected of wrongdoing in the FBI's investigation into payments his campaign allegedly made to his opponent in 2012 to encourage him to drop out of the race, according to an approved search warrant application filed in the U.S. District Court for the Eastern District of Pennsylvania. Two political consultants have already been charged in the campaign finance probe involving Brady's reelection campaign, but the recently unsealed search warrant application appears to be the first time Brady himself is mentioned as suspected of criminal wrongdoing in the probe. Federal prosecutors last month said Kenneth Smukler and Donald Jones planned a scheme for the Brady campaign to make an illicit $90,0000 campaign donation to Jimmie Moore, intended to pay down campaign debt. Now, FBI special agent Jonathan Szeliga says in the search warrant application obtained by CBS News he has "probable cause to believe that Kenneth Smukler, Robert Brady, Donald "D.A." Jones, Jimmie Moore, and Carolyn Cavaness and others known and unknown have committed violations," involving conspiracy, false statements, and causing false campaign contribution reports, and violations related to limits on campaign contributions and expenditures. The search warrant is for all AOL accounts associated with Brady's email account, "bobcongress@aol.com," and Brady's email is listed as the target. The search warrant application is signed by U.S. Magistrate Judge Carol Sandra Moore Wells. Seamus Hughes, deputy director of the Program on Extremism at the George Washington University, first reported the existence of the search warrant request, and what it reveals about where the FBI stands in regards to Brady. CBS News has reached out to Brady's office for comment. Brady's office directed CBS News to Brady's attorney, who, after reviewing the court documents, insisted Brady is not named as a target, and has never been listed as a target in the probe. Brady is the ranking Democrat on the House Administration Committee, and has been since 2007. According to the special agent's claims in the search warrant application, "The investigation has uncovered evidence which indicates that Brady, Smuckler, and Jones utilized Smukler's and D.A. Jones' corporations to conceal payments from Brady's campaign to repay Moore campaign debts in exchange for Moore's agreements to withdraw from the 2012 Democratic primary race against Brady for U.S. Representative in Pennsylvania's 1st District. The evidence shows that these concealed payments were made for the purpose of removing Brady's primary opponent from the race and willfully undermining various provisions of the Federal Election Campaign Act (FECA) in the process." "As discussed in detail below, these goals were accomplished by routing three payments totaling $90,000 from Brady's campaign through political consulting companies to the campaign manager for Moore's campaign, who used a portion of the funds to pay debts owned by the Moore campaign, keeping the remainder of the money for herself and Moore," the search warrant application continues. Email Kathryn Watson at kathryn.watson@cbsinteractive.com.